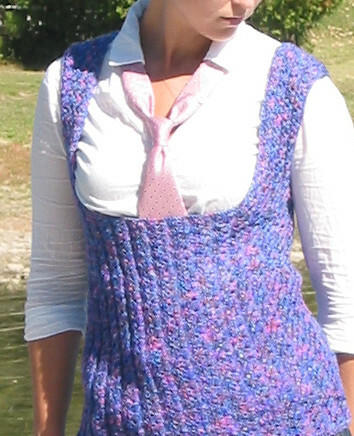 When I saw this vest I thought, "Whoa, that is a low neckline." Then I went in for a closer look. The neckline is supposed to run under the model's breasts. This, I think we can all agree, is a major fashion faux pas. As vests of this style should only be made of latex or, in a pinch, pleather.